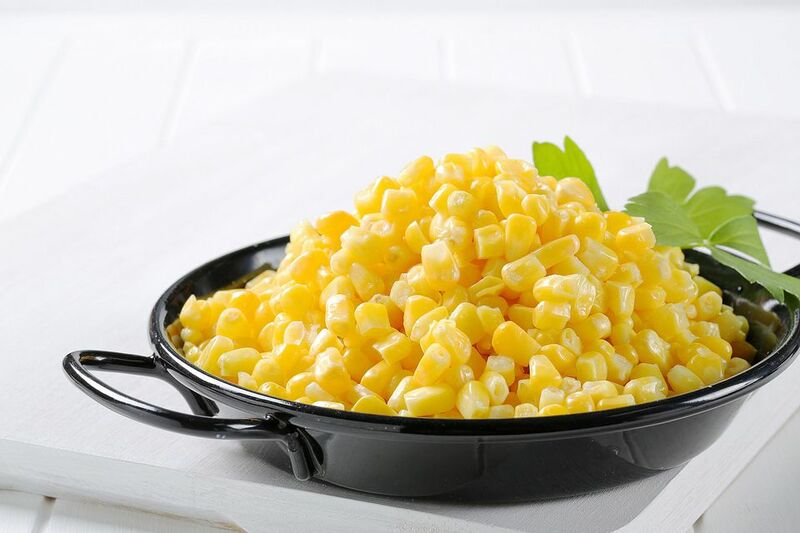 Scalloped corn is a classic side dish that is usually baked in the oven. When you're hosting a holiday dinner, this recipe comes to the rescue because you can cook it in the slow cooker, while the turkey, or ham, or roast is taking up the oven space. Egg product is used in this recipe instead of real eggs because they can stand up to long, slow cooking better. You can season this recipe any way you'd like. Instead of the thyme leaves, use basil or oregano. Adding a bay leaf isn't recommended, because this recipe is meant to be scooped out of the slow cooker, and it would be difficult to find and discard the bay leaf before serving. Spray the inside of 3 to 4-quart crockpot with nonstick cooking spray. Combine the flour, butter, egg product, milk, sugar, salt, pepper, canned corn, frozen corn, and thyme leaves in the prepared ​crockpot and stir to mix. Cover the slow cooker and cook on high for 2-3 hours until the mixture is set. The temperature should be at least 160 F for food safety reasons.